Yesterday in Indianapolis, a team of 14 volunteers began working at two homes on the South Side, busting up concrete and hauling out trash and debris that had accumulated over decades. The team is the first of six Action teams that will work in Indianapolis and Allendale this summer, repairing homes, meeting neighbors and running camps for local children. The first Indianapolis team will gut the inside of 1646 Union Street, a duplex, removing plaster and lath from the walls, tearing out old wiring and replacing a wood floor in preparation for a total renovation of the house. The house was overrun by cats until a Christians in Mission team member bought it in July, 2011. Paul Hommes (CIM Indianapolis), who is supervising the renovation, says later teams will scrape and paint the exterior of the house, take down the chimney and prep the inside for further construction. Ben Blessard, a high school freshman from northern Virginia, decided to join the Action team late last week. “I’m looking forward to the demolition work,” he says. Other team members include carpenter Chris Taylor and his wife Colette (Corvallis), Jack and Haidy Busekrus (Oahu) and Mary Dohrman (Oahu), and eight students from northern Virginia, Servant Branch, Shreveport and South Bend. On the South Side of Indianapolis, Action volunteers are working on 1646 and 1650 Union Street. 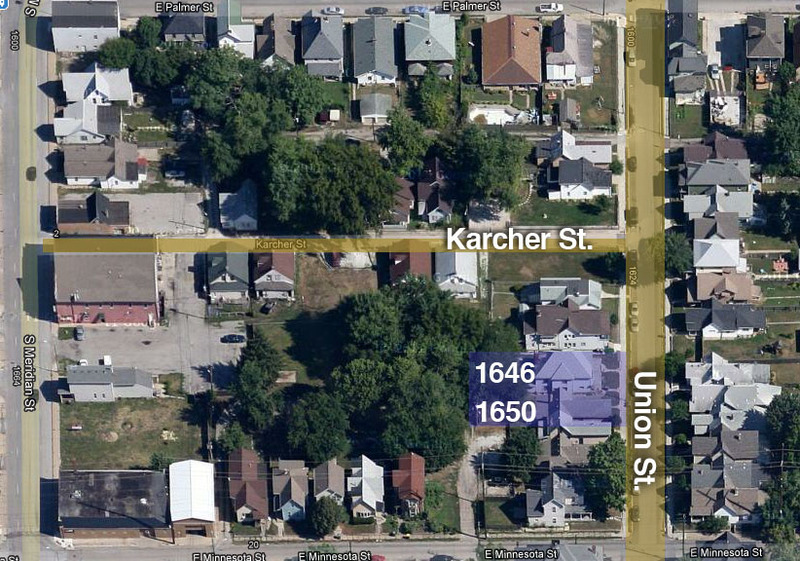 CIM team members live close by in houses on both Karcher and Union streets. On Thursday, team members will take a break from the dirty work to knock on doors and tell neighbors about the first People of Praise day camp for South Side children. The camp will begin on June 20 and run for about two weeks. “Our summer camp has been such a success in Allendale that we want to try it here. We already have some solid friendships with South Side children,” says Michael Coney, head of CIM in Indianapolis. “It’s a challenge not knowing who will be coming, or how many, or what their needs might be,” adds Jo Zimmel (Servant Branch), a veteran of past Allendale camps and Servant Camp. She will be leading the new Indianapolis camp with help from her husband, John. “But we think it’s God’s will to have this camp and I’m confident that it’s going to be great.” Jo is ready with activities that will work for a variety of age groups and numbers of children. In Allendale, Action work will begin on June 18. 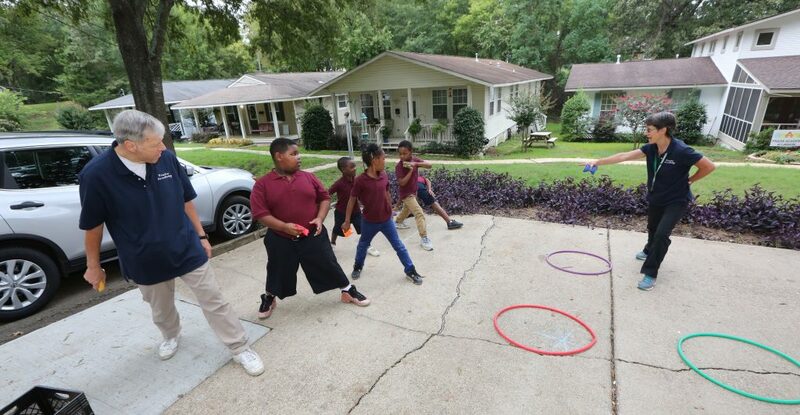 The summer camp, in its tenth year, will run for six weeks, and Ben Reinhardt, who is leading the Action work there, says he is planning for 50 children to attend on most days. (Attendance topped out at 57 last year.) Planned activities for boys include football, basketball, building birdhouses and racing pinewood derby cars. Planned girls’ activities include jumprope, praise dancing, cooking, Bible skits and making stained glass crosses. 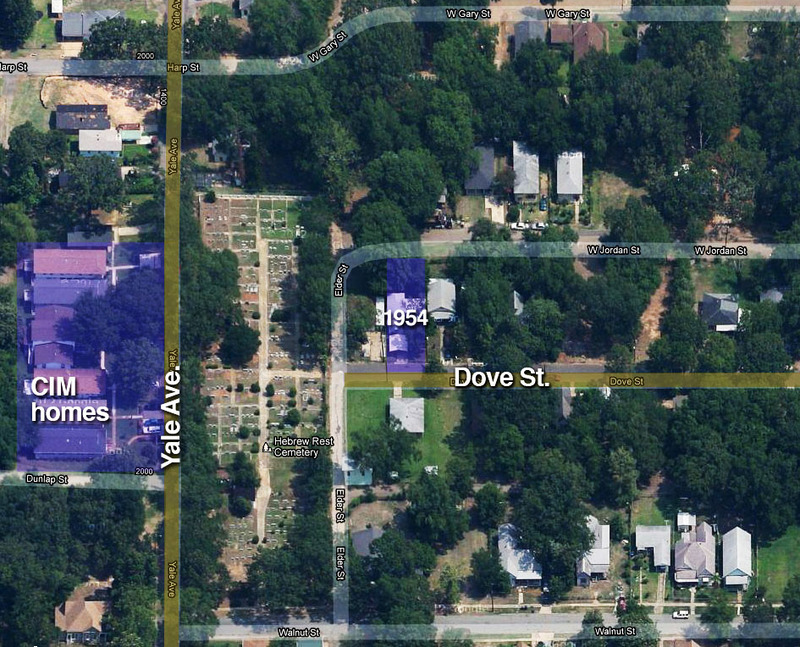 In Allendale, Action volunteers will be renovating 1954 Dove St. CIM team members live in a string of contiguous houses located on Yale Avenue. Several home-repair projects for neighbors are also on the docket for Allendale Action teams: painting a shed, removing and replacing an awning, installing new windows and repairing walls. 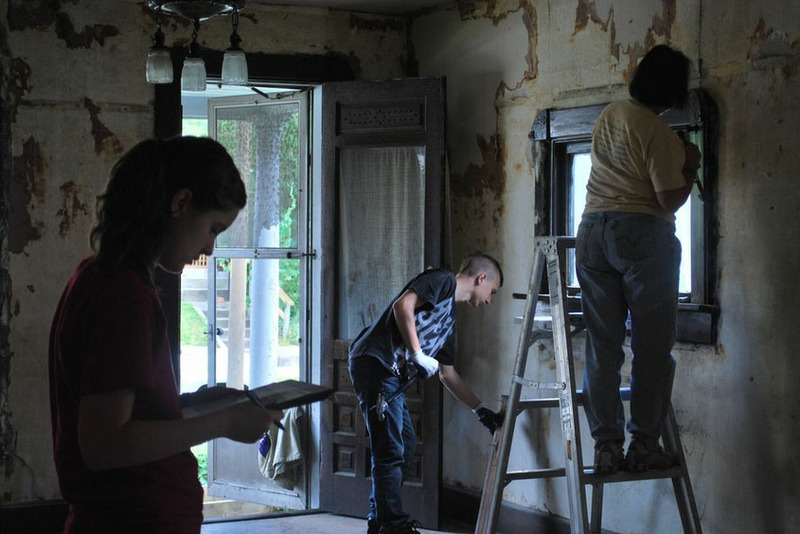 Team members will also tackle kitchen and bathroom repairs, refinishing floors and painting at a house on Dove Street acquired by the People of Praise in March, 2012. So far 102 volunteers have signed up for summer Action trips. Action administrator Catherine Bulger says slots are still open on some Action teams, especially for adults. Contact her at [email protected] right away if you are interested in joining a team. Exciting times in Action! Lord, please bless the work & the workers, & send more laborers to the harvest! It is exciting to hear about the major renovation of the duplex on Union Street in Indianapolis. My hope is that in addition to demoing the interior and scraping/painting the exterior we will take the extra steps to make the unit energy efficient, including some renewal energy initiatives such as PV panels for water heating and installing EnergyStar HVAC and appliances. Also, with all the old plaster removed it would not be difficult to add furring strips to the wall studs to allow for 6" wall insulation. I must admit that I was sceptical about all of this when the People of Praise started in this direction 10 or 15 years ago. Now I see a pattern and plan which I believe is providential. How do you redevelop and renew a badly deteriorated neighborhood in a city? You bring the power of the Holy Spirit and the Spirit filled people into the neighborhood to renew the hearts of the people in the neighborhood as you renew the properties in the neighborhood. This can only work if the people are committed - as the action team members are. When the time is right I would like to share this with the Mayor and Redevelopment people here in South Bend where there are thousands of abandoned homes (and abandoned hearts). I LOVE hearing about what is happening-thank you for these articles, and please keep us posted! The good work continues, praise God! So excited about the door to door and the outreach to the kids. My trip three years ago helped give me the vision of what the Lord is about, for sure it is time well spent! The CiM members in Allendale are working hard to be ready for the first Action team to arrive. Excitement is high, plans are being finalized and the Lord is already working. Glory!! We are with you in the Spirit! God bless all the missionary efforts throughout the People of Praise this summer. Our love and prayers go with you in bearing fruit for the Kingdom.